Elizabeth Bryan-Jacobs was born in Rockland County, New York. She is passionate about communicating the relationship of the human body and spirit to nature and the earth. She pioneered the field of Creative Behaviorism, a proprietary methodology that awakens the creative process in artists and non-artists alike in order to maximize their human and spiritual potential. To apply these principles with individuals and groups, Bryan-Jacobs developed Creative Awakenings™, a program that integrates this methodology with various wellness modalities. Creative Awakenings has become a highly in-demand program that she teaches at exclusive resorts and spas. 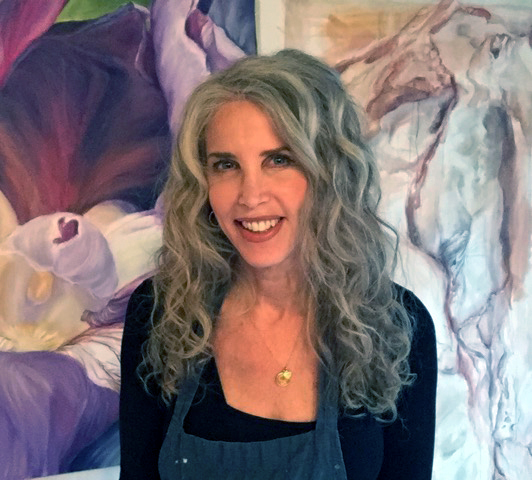 Her work resides in numerous private and public collections across the United States, and she is now pursuing a Master’s Degree in Art Therapy to further her passion for the therapeutic benefits of the arts. Bryan-Jacobs is also the co-author of bestselling Chicken Soup for the Soul: Count Your Blessings, and Soul Models: Transformative Stories of Courage and Compassion. She also works closely with her husband, artist Bobby Jacobs, creating large-scale commission works for private and public collections, with a work most recently acquired by Dell Children’s Hospital in Austin, Texas, for The Dell Children’s Healing Garden. The couple live and work on their farm in upstate New York. To learn more about Creative Awakenings, click here. Author Elizabeth Bryan-Jacobs will sign and dedicate each book to the recipient. All proceeds are donated to The Spread Your Wings Project. Learn more.